Furniture set of the dentist. Full set of modules. 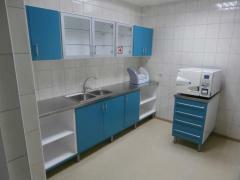 Unbelievable price on Medical furniture in Kharkov (Ukraine) company MetaMebel. Wide choice of quality products at affordable prices.